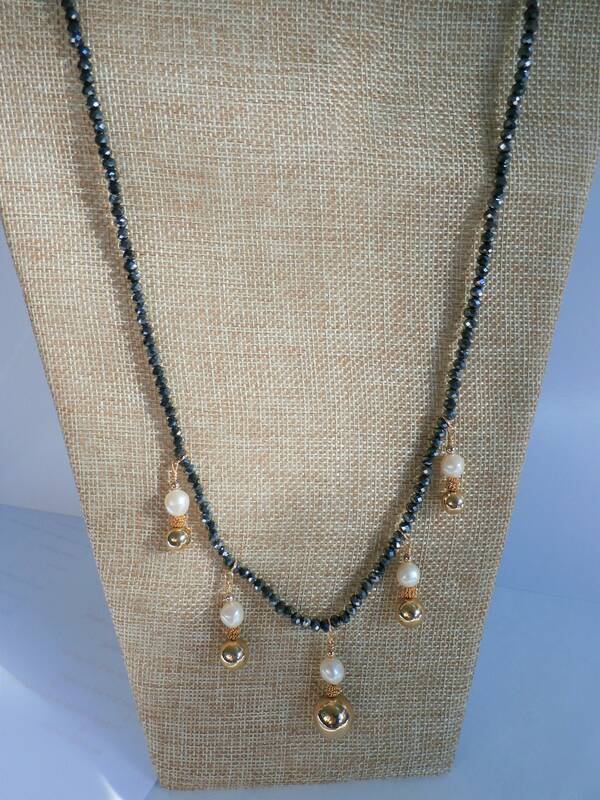 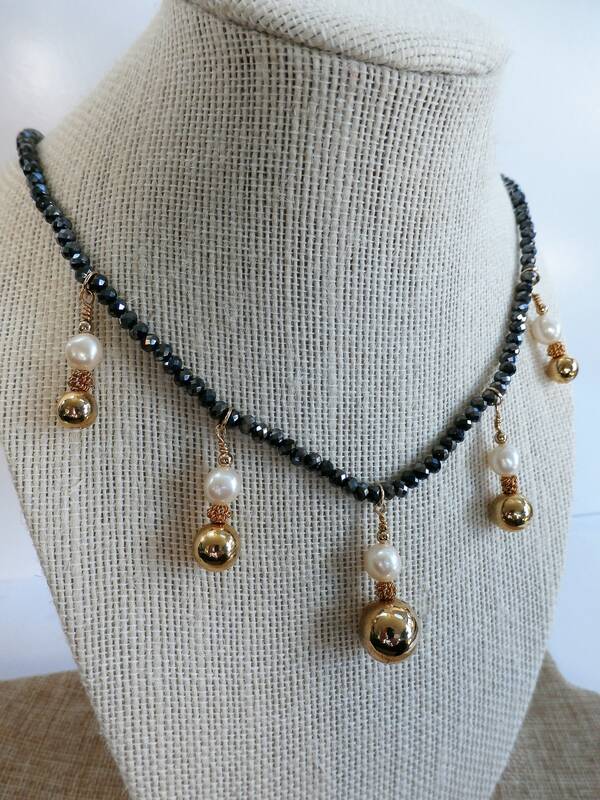 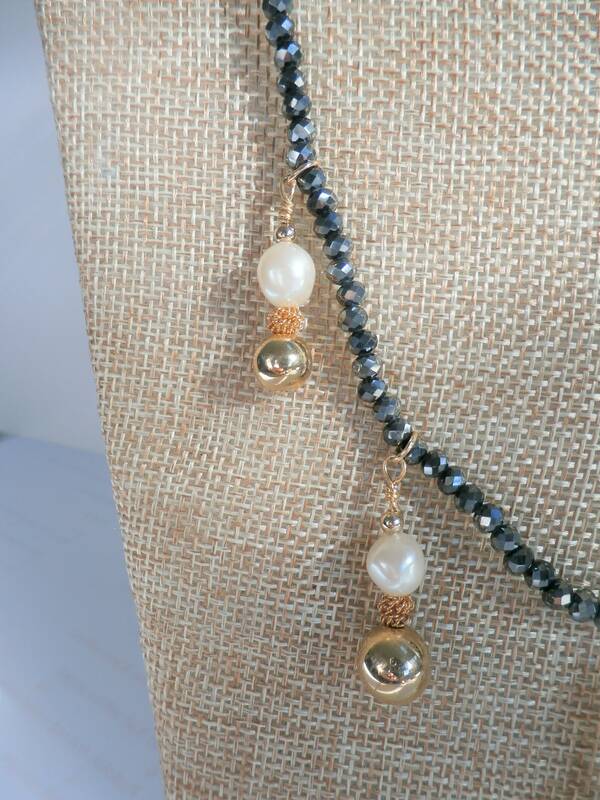 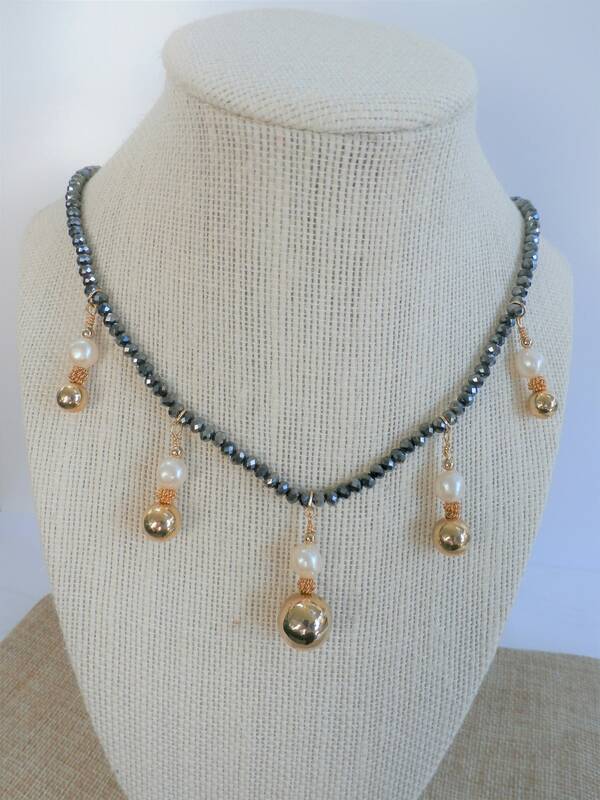 Charcoal Gray opaque faceted Crystal necklace, with 5 gold plated ball pendants with pearls, hand wired onto the 28" necklace. 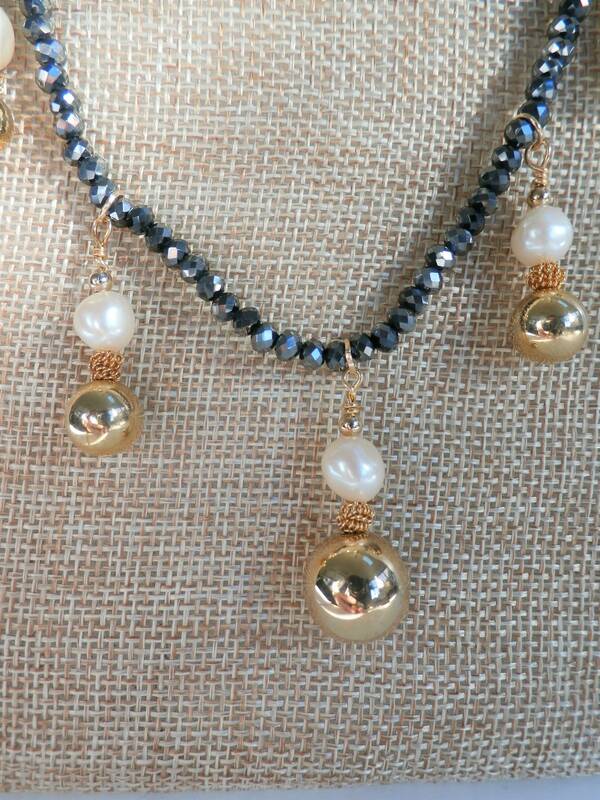 Please use your desired total length in CUSTOMIZING ORDER. 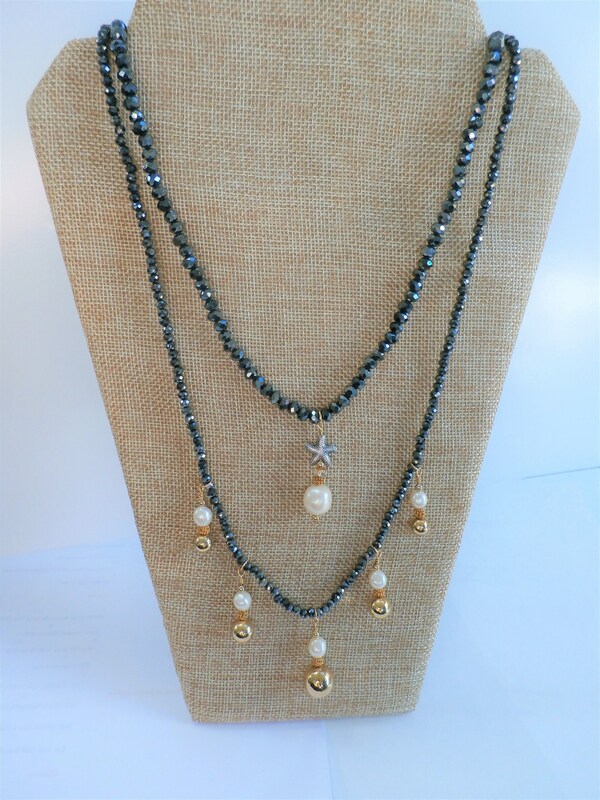 Dripping with 14k gold balls,925 sterling silver balls, creamy white pearls,and a few surprises of sterling starfish and shells. 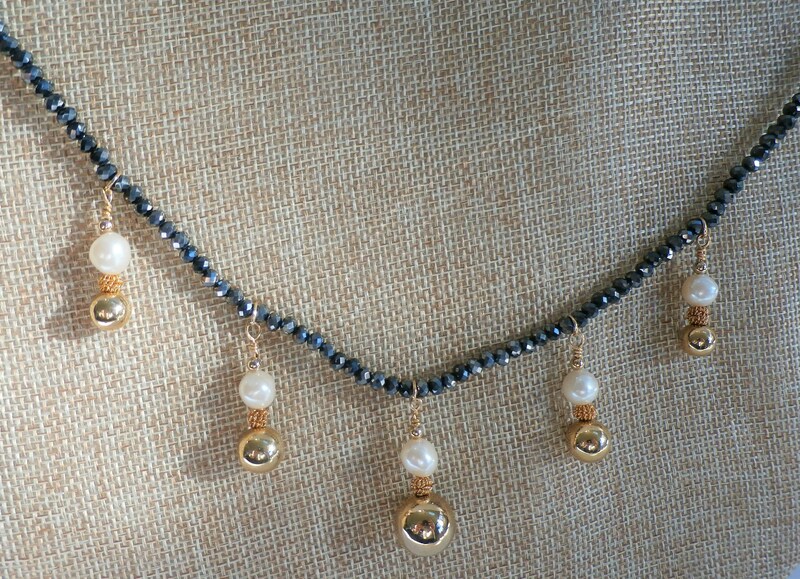 I hand wired to each piece to the crystal length. 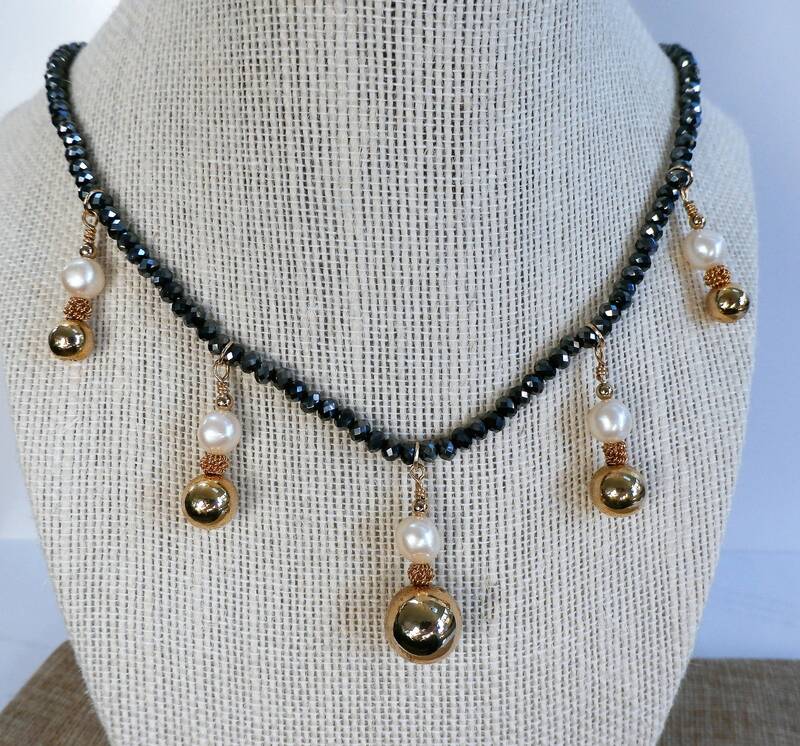 Very elegant and unique. 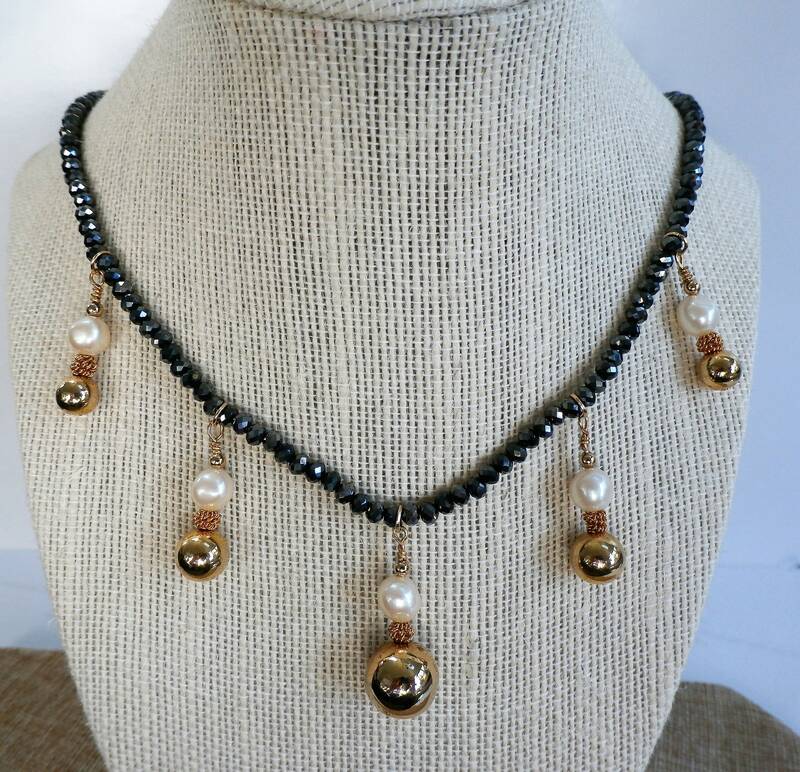 I used the best and precious metals and crystal, and I know you will love these wearing black,try the look on colors, including white! 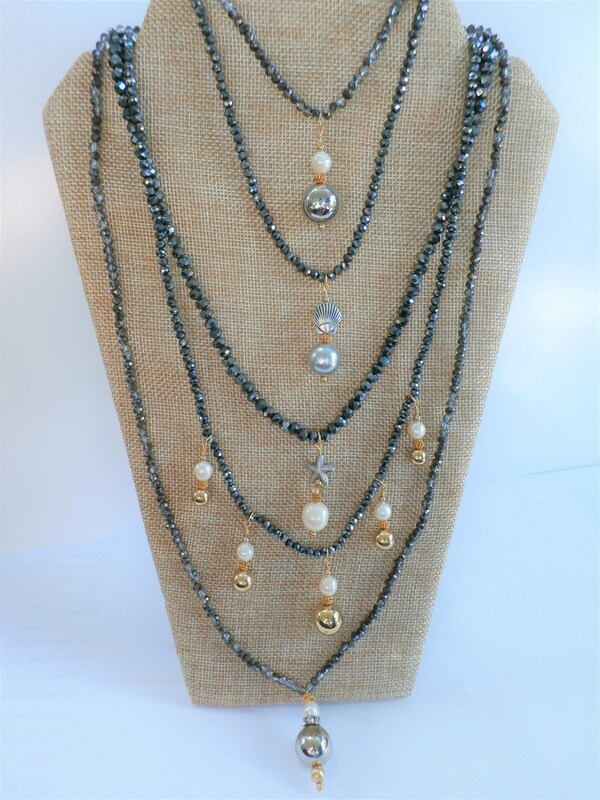 The hard part will be choosing which one.